It started with a podcast. A very informed discussion about footwear for those who venture off-road. More bones in the foot, most vulnerable given position, not well protected by street boots, etc. I had not given this much thought before, but it all made sense. Then I read a few more articles and a book chapter on the subject. Then I remembered how many times I had come close to a foot injury. Then I started reading reviews of boots with greater protection. Then I found a well-reviewed phased out pair online at a very good price. Then I ordered them. Alpine Stars Tech 3 . I can see right away that these will take a while to break in ! They are strong and stiff. They will also take a while to get used to while shifting due to their profile. 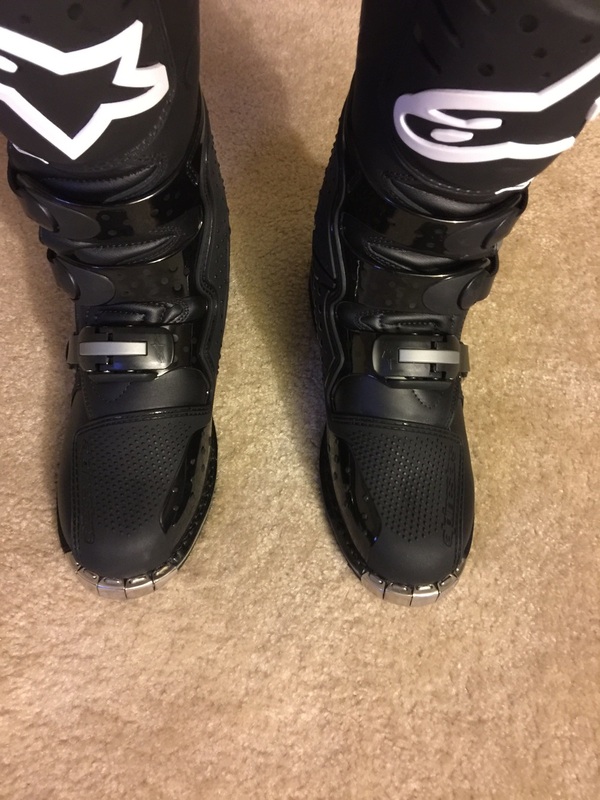 However they look great and feel great once you get them on.